I think it would be great to have a woman POTUS but some people should have a DNA test and a mental test…as it is for the Democratic Sen. Elizabeth Warren. 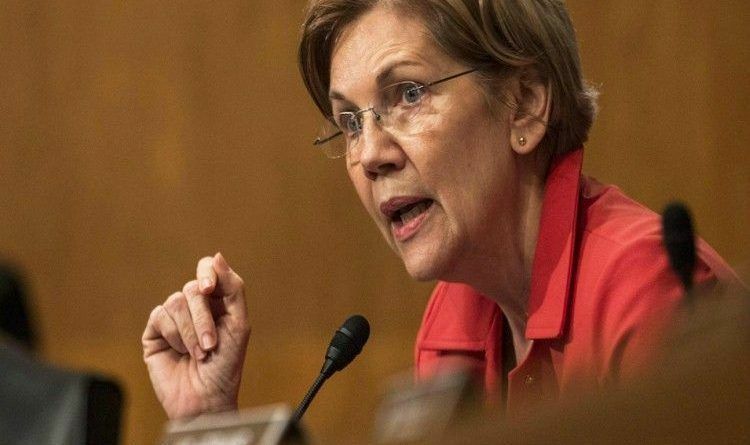 It looks like Massachusetts Senator Elizabeth Warren is angling for a presidential run in 2020… She is raising historic amounts of money and grooming top political connections within the Democratic Party. Warren has amassed more money in her campaign war chest than nearly any senator in modern history. Via The Daily Caller: The Massachusetts senator has amassed a campaign war chest of nearly 13 million going into her re-election this year, an amount greater than nearly any senator in modern history. Warren has yet to make a formal announcement for a 2020 run, but she has maintained a national profile throughout Trump’s first year in the White House. Warren took on Trump and Republican leadership during their push to repeal Obamacare, even offering up her name as a co-sponsor for Sen. Bernie Sanders of Vermont single-payer health care bill. Politico reported Tuesday morning that Warren’s recent posturing and fundraising efforts are a diversion from “the heads-down posture” that she has reportedly kept in her five years as a senator. Pocahontas for POTUS….is this the best the Dems have to represent their agenda? If the people of Massachusetts vote for this fraud then they are all frauds themselves. Unbelievable that this liar, cheat and fraud can get re-elected as a representative in any capacity. She needs to be jailed for fraud.